Engineer : Yves Parlier is an engineer who, for 20 years, has allied his passion and his training as an engineer in composite materials. 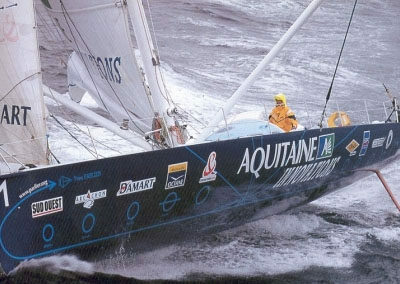 In 1986, with Stéphane Lull, he set up a company, Epsilon Composite, the world leader in pultrusion, to which Yves Parlier brought his technical skills in order to develop the company for seafaring and aeronautics. 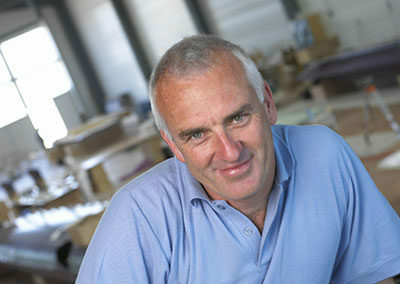 In 2001, started a partnership with Thierry Eluère, a well known boat builder and set up the Larros boatyard (Chantier Naval). 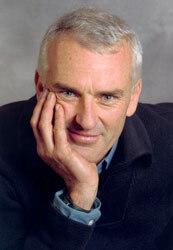 In collaboration with Michel De Fransu, he is responsible for the Yachts side of the Black Pepper boatyard. 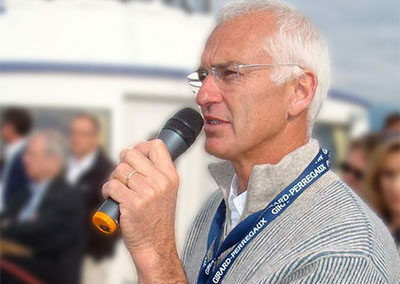 Innovator: For a long time Yves Parlier has taken part in the way that top level sailing has evolved. 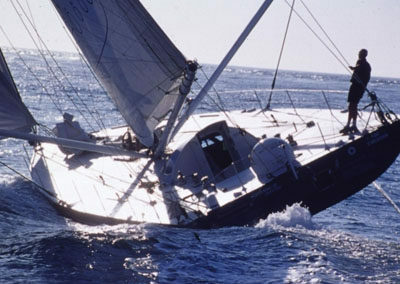 From the innovation of the 1st carbon fibre mast in 1985, to furlers, to mast sails and right up to hydraplaneurs, he is passionate about ways of moving as swiftly and as safely as possible over water. 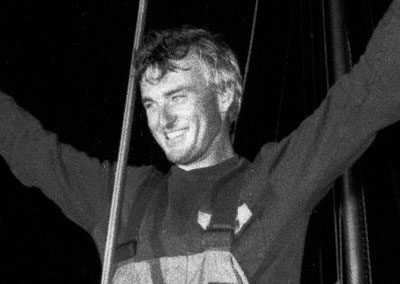 He was the first to sail round the world without using fossil fuels, in 1996. 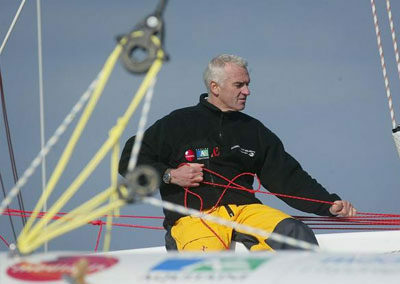 Quite naturally, Yves Parlier turned to his current project, beyond the sea® based on 100% natural energy. 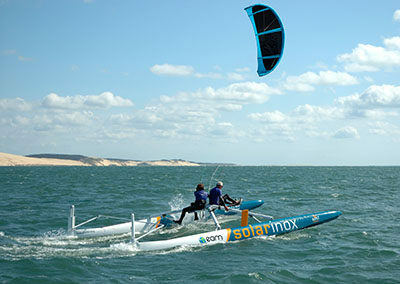 Activities with businesses : Yves Parlier’s orders his activities around values which ally innovation, environment and sailing. 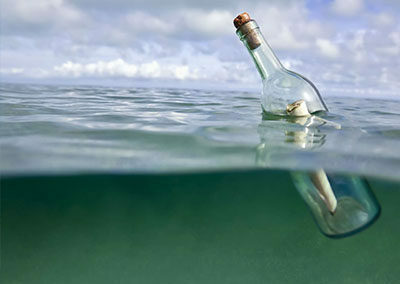 For several years he has been establishing links with partners and he excels in business conferences and seminars. He is a very persuasive speaker, adapting his message to communicate on topics such as team spirit, performance and innovation, project management, difficult situations , risk, stress… The list of companies which have successfully consulted Yves Parlier for their events is long : General Electric, Orange, SNCF, Ericsson, Renault, Altran, Cervin ENR,..